Produced by The Bezark Company, this media-driven nighttime walking-tour of historic Independence Park immerses visitors in the dramatic story of the Declaration of Independence, culminating with a stunning finale outside the building that birthed the nation--Philadelphia's Independence Hall. RoseWell Entertainment worked for On Track Themes to provide technical direction and technical writing services throughout the project's schematic design phase. Located within the upcoming Red Sea Astrarium destination resort in Aqaba, Jordan, Star Trek Jordan is a thrilling, 23rd Century-themed attraction that immerses guests into one of Paramount's most iconic brands. RoseWell Entertainment shared creative writing duties with the project's accomplished creative director, Ty Granaroli. Working with Mark Thomas of On Track Themes, RoseWell provided technical direction, technical writing and project coordination from the concept phase through design development. In development on the Mediterranean coast about 270 miles southeast of Madrid, Paramount Park Murcia features four themed zones that celebrate beloved film genres such as adventure, fantasy, science fiction, and the American Wild West. As part of the project's writing team compiled by Granaroli Design & Entertainment, RoseWell Entertainment developed pre-schematic and schematic-level narrative treatments and scripts for rides, shows and interactive content that leveraged compelling intellectual properties; full park walkthrough narratives; and creative intent briefs for retail/dining venues. RoseWell also worked with Mark Thomas of On Track Themes giving technical direction for multiple zones and disciplines. This symbiosis between the creative and the technical kept RoseWell well-equipped to ensure design consistency across all disciplines. The Turkey Hill Experience is Turkey Hill Dairy's corporate visitor center in Pennsylvania's Lancaster County. 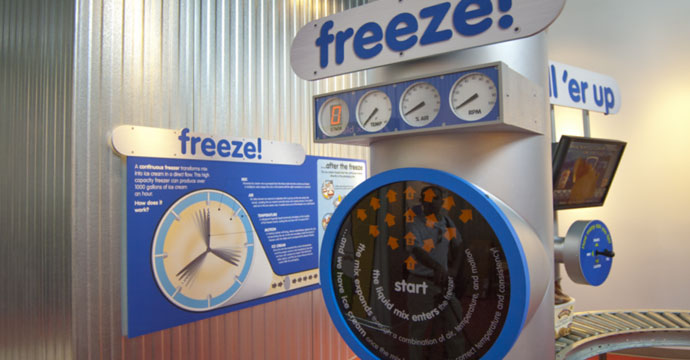 The attraction features nine interactive exhibit areas that allow visitors to learn more about dairy culture, the story of Turkey Hill Dairy, and how the company's top-selling ice cream and iced tea flavors are selected and created. Jason DePew developed comprehensive training materials (e.g., manuals, checklists) for the opening operations team. Partnering with On Track Themes, Jason also participated in design/build shop visits to consult on nearly two dozen interactives (developed by Boston Productions) and various other tasty design elements for this attraction. 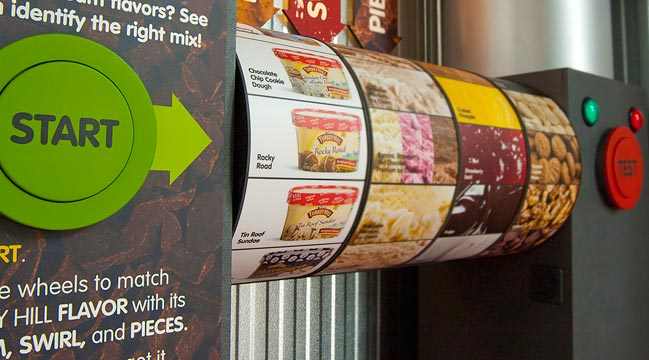 This unique attraction, conceived by On Track Themes, is the world's first experience that allows guests to make their own candy confection on actual, customized factory equipment. Jason DePew partnered with On Track Themes from concept through completion. Jason developed all interpretive signage content (e.g. "fun facts") throughout the attraction, revised walkthrough treatments and video scripts, helped to develop efficient guest flow and applied thematic elements at all points of connection. The project team overcame the three-pronged challenge of ensuring guest-friendly interaction with highly standardized and regulated factory equipment, promoting a fun and dynamic atmosphere, and reinforcing the client's established standards and iconic brand identity. Since opening its doors, "Create Your Own Candy Bar" has been monumentally successful, far exceeding the promise set by the original design intent. “Crane Dance” is a THEA Award-winning public attraction designed by Entertainment Design Corporation for ResortsWorld Sentosa in Singapore. At full extension the cranes are as tall as a 10-story building, making them the world’s largest animated figures at the time of completion. Jason DePew worked with Mark Thomas of On Track Themes to revise and develop RSOQ/RFP bid documents for various aspects (e.g., show action equipment) of the crane figures and the related infrastructure. On Track Themes helped to define the scope of work and negotiate the design and production agreements on behalf of Entertainment Design Corp.